Situated on bluebonnet-spangled Edwards Plateau, the Canyon Lake area is rightfully known as the brightest jewel in the Texas Hill Country landscape. If you're a wine aficionado, you're in luck -- some of the Western Hemisphere's best wineries are located deep in the heart of Texas. Following are three must-visit wineries in Texas Hill Country within easy proximity of our Canyon Lake cabin rentals. Old World winemaking traditions meet Texas pride and innovation at Hill Country's La Cruz de Comal Wines. Winemaker and proprietor Lewis Dickson learned the ropes at various vineyards in France. All wines are exclusively grown and bottled in Texas Hill country, and true to old-school winemaking practices, all wines are handcrafted and production is limited. You'll get a taste of true Texas terroir in every sip when visiting their tasting room. 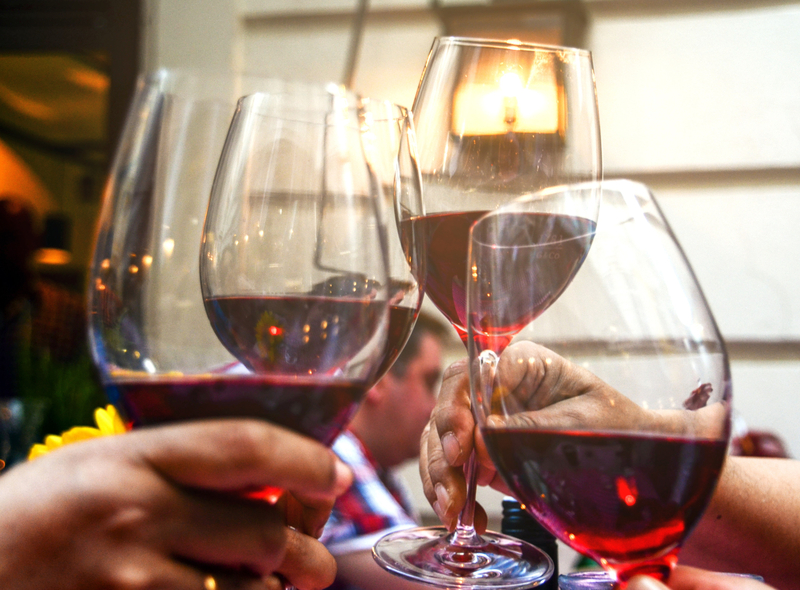 Enjoy wines such as a fortified dessert wine crafted completely from estate-grown Blanc du Bois grapes, a dry white table wine made from the same grapes, and a luxurious red made from Black Spanish grapes. The tasting room on Saturdays and Sundays during the hours of 12 p.m. and 6 p.m. Private tastings may be arranged at the proprietor's discretion. As its name implies, Fawncrest Vineyard is situated in a serene natural environment that could serve as a destination in its own right even if a glass of some of the best wine in the West wasn't at the end of the journey. Fawncrest specializes in estate-grown wine with a French accent -- you may even think you're in the Bordeaux Valley when you take that first sip of finely crafted cabernet sauvignon during a visit to their tasting room. Like other first-rate vintners at boutique wineries, husband-and-wife team Wayne and Patty McNeil stick with small batches. Their adventure with winemaking began in 1998, and since then, their wines have won local and regional awards. Enjoy their tasting room on Saturdays between 12 p.m. and 7 p.m, or call ahead to schedule a visit outside of that time. Enjoy savoring a delicious glass of wine while drinking in gorgeous views of Canyon Lake. While Dry Comal Creek Winery has experienced catastrophic floods and crop-ruining disease, they've overcome the setbacks to become the first Texas winery to make delicious wines out of a resistant grape named Black Spanish. With this grape, they create a delicious set of core wines including a sweet French Colombard, a crisp semi-sweet blush wine, and a rich yet smooth light red wine, among others. Plan your visit during one of their Friday Night Wine Down's to enjoy tasting Texas wines while listening to local live music. Whether you're exploring the area's finest wineries, catching a concert at the Whitewater Amphitheater, or just looking for rest and relaxation at our Canyon Lake campground, don't hesitate to reach out for more information on the advantages of choosing the Texas Hill Country as your next vacation destination. Advanced notice may be required at these wineries and minimum rates apply for transportation to and from our campgrounds, so start planning today!